Getting set up at a new job can be a frustrating maze of forms that require overlapping information to be entered perfectly. Solving that is the idea behind HelloWorks, a new service from HelloSign designed to simplify the process of filling out forms. 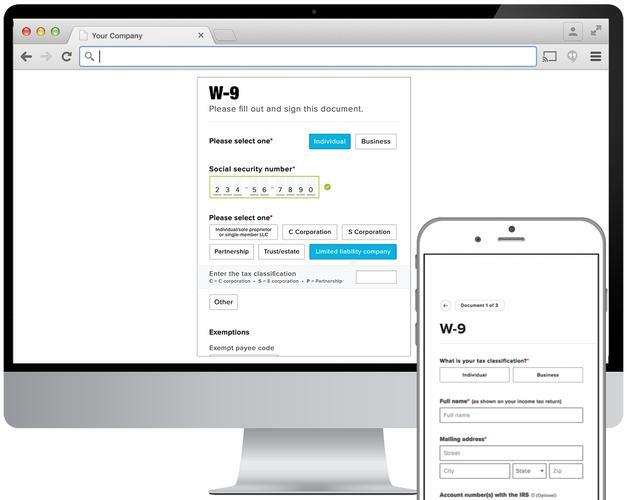 People using HelloWorks will be able to complete forms digitally rather than fill out PDFs on their computers or scan handwritten responses. Even if users have to work through several different forms, the system will automatically populate identical fields with the appropriate response. That way, people won’t need to fill in their address half a dozen times. The new service is an expansion for HelloSign, which got its start as a company with a service that let users send faxes over the internet. In the intervening years, the company expanded to offer e-signature capabilities that compete with companies like DocuSign and Adobe. HelloWorks was born out of issues the company’s customers had with handling forms. For example, grocery delivery startup Instacart now integrates HelloWorks into its mobile app so people interested in delivering groceries can fill out forms necessary to start working for the company from their phone. Businesses using HelloWorks will pay based on how frequently they use the service. The company said that a small to mid-sized deployment will run businesses between roughly US$250 and $1,000 every month. One of the key differences between HelloWorks and just filling out a PDF form is that it integrates with the Google Maps API to verify address information that users submit. In the future, the company plans to integrate with other services, but the Google integration is the only one launching with HelloWorks. At this point, customers have to pay a one-time fee to HelloSign if they want to use custom forms, since the company will be creating them from scratch and doesn’t currently offer self-service tools. That said, HelloSign co-founder and CEO Joseph Walla said that his company doesn’t plan to build a major consulting business to accompany this new feature.